David M. Mwihia is a pastor and teacher, serving as pastoral associate at Church of All Nations in Columbia Heights, Minn. He studied at St. Paul University in Kenya; Johnson C. Smith Theological Seminary and Emory University in Atlanta, Ga.; United Theological Seminary in Dayton, Ohio, where he earned a Doctor of Missiology; and Luther Seminary in St. Paul, Minn., where he earned a Ph.D. in Systematic Theology. 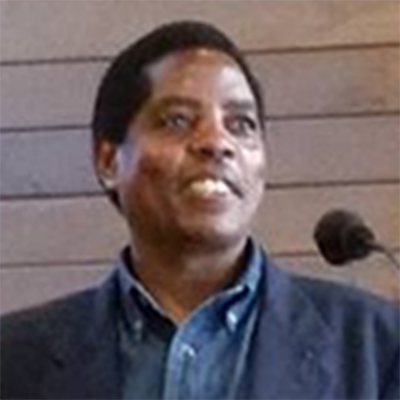 Born and raised in Kenya, he served parishes in Kenya as an ordained minister of the Presbyterian Church of East Africa before coming to the U.S. in 1996 for advanced studies. In addition to his duties at Church of All Nations, he serves as part time chaplain with Allina Health and supports various immigrant fellowships in the twin Cities. He is married to Elder Lucy Njeri Mungai (Luther Seminary, Ph.D., 2011) and has two girls, Estherjoy, and Tabitha. David is an ardent tennis player and a fan. He also loves jogging.